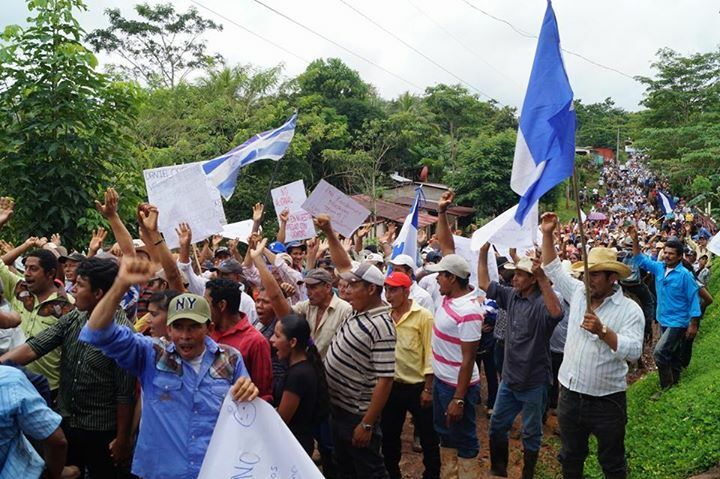 EspañolLocal opposition to the construction of an ambitious interoceanic canal in Nicaragua continues to mount. Nicaraguan NGOs launched an initiative on Sunday to collect signatures in an attempt to repeal the legislation which authorized the construction of the Grand Nicaraguan Canal. “We are starting next week to collect signatures, because Nicaragua is not for sale,” said Octavio Ortega, head of a local development foundation in the town of Rivas, Fundemur. The campaign aims to obtain the 5,000 signatures necessary to propose a bill before the National Assembly to put an end to the canal, said Mónica López Baltodano, environmentalist lawyer and head of the Popol Nah Foundation. Since September, residents near the construction zone have rallied to defend their property. They claim the canal’s construction jeopardizes their homes. López Baltodano says over 100,000 people living in 282 towns along the canal’s proposed route will be displaced from their homes. Since August, HKND Group, the Chinese concessionary building the canal, has conducted a census of the construction area. Escorted by the Nicaraguan army, HKND officers are collecting information on the soon-to-be expropriated property and its inhabitants. In 2013, the Chinese company secured a contract for the construction of the 278-kilometer interoceanic canal to the tune of US$50 billion, and will remain under their management control for the next 50 years. The Nicaraguan government plans to begin construction in December and the canal is expected to be completed over the next five years. The canal’s various tourism-related subprojects include new roads, ports, airports, free trade zones, and shopping centers. Sources: La Prensa Gráfica, CB24.